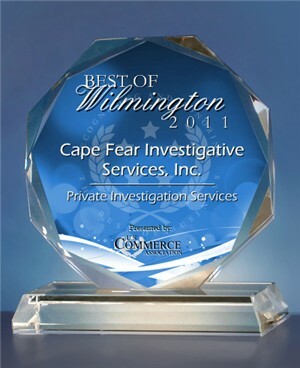 Prior to his work as a private detective, investigator Bill Ratcliff began his law enforcement career with the Wilmington, NC, Police Department. He was promoted to detective with the Wilmington city and county Vice and Narcotics Unit. He next served as senior narcotics detective the New Hanover County Sheriff’s Office, where he investigated cases in collaboration with the DEA, FBI and SBI. In 1997, Bill Ratcliff was selected to serve as a Federal Task Force agent for the DEA in Brunswick and New Hanover counties. Along with law enforcement agencies like the DEA and the Federal Prosecutor’s Office, he investigated large crime organization along the East Coast. Several of these investigations led to the seizure of thousands of dollars worth of illegal drugs. Bill served as a lieutenant narcotics officer for the Pender County sheriff’s office starting in 2003. He built the department from the ground up and launched an Interstate Interdiction Team-responsible for thousands of dollars in illegal drug seizures within its first weeks. He also continued his collaboration with the DEA, FBI, SBI and other law enforcement agencies. He brings over 24 years of investigative experience and training to your investigation, ensuring your case will be handled professionally and with a thorough understanding of all its requirements. In 2012, Bill was elected as Vice-President of the NCPI Association.